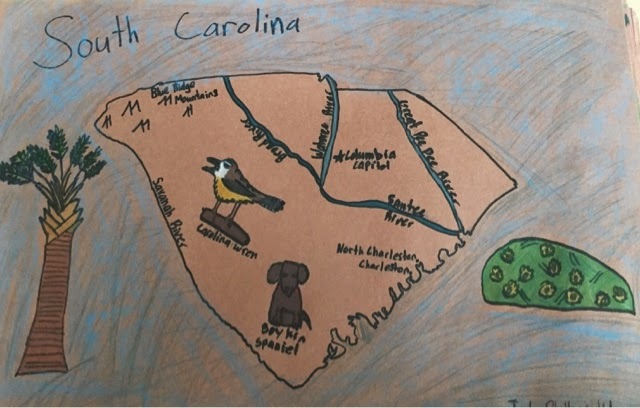 My 4th grade has been working in their classrooms on their state projects. 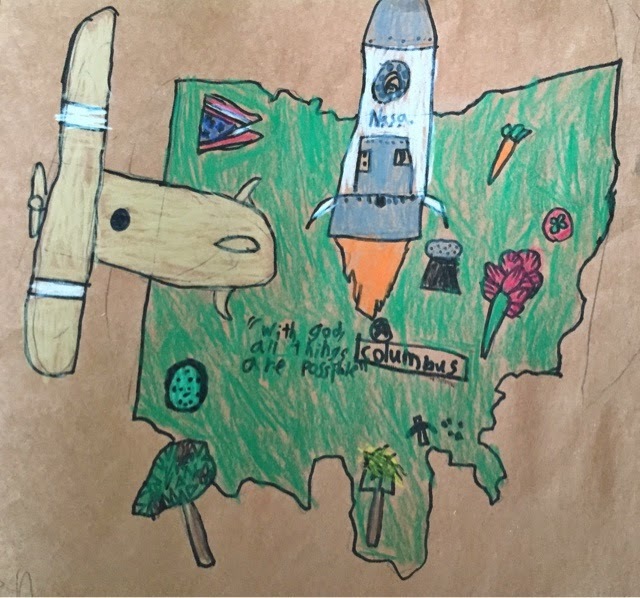 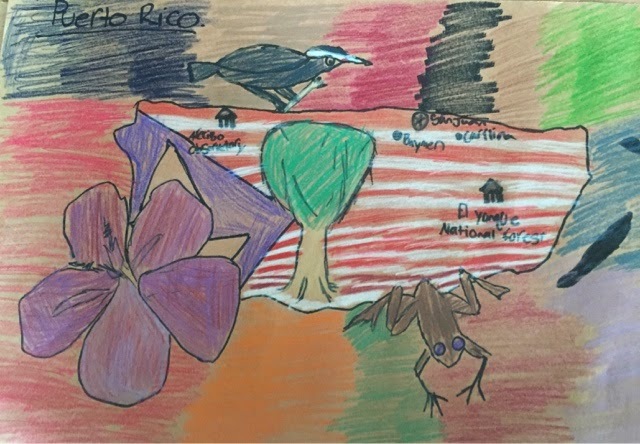 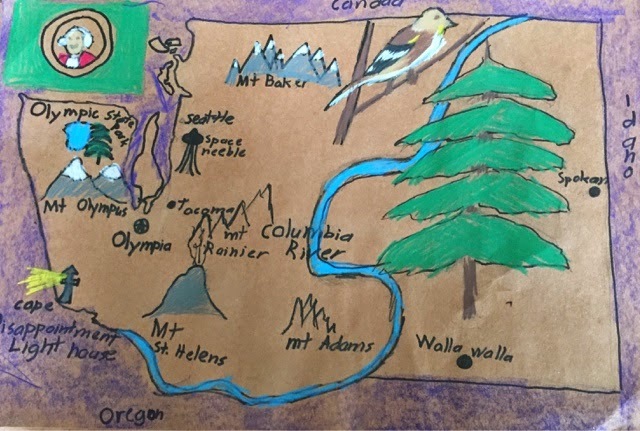 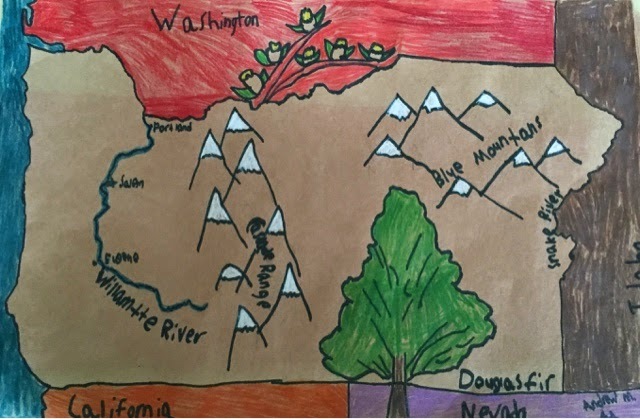 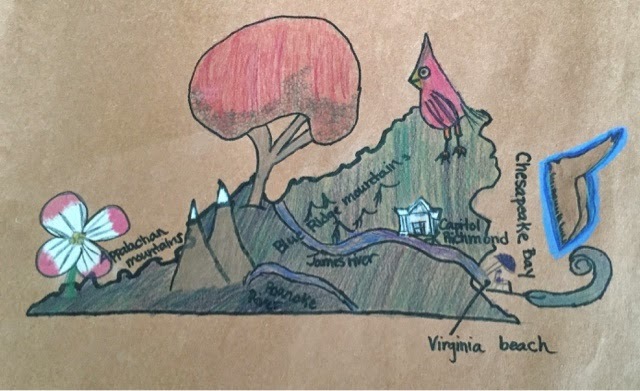 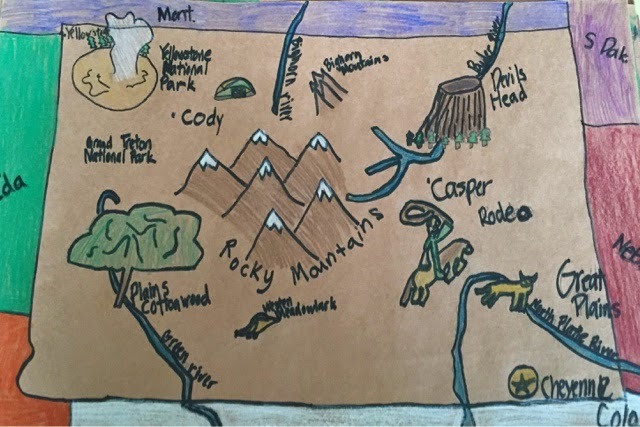 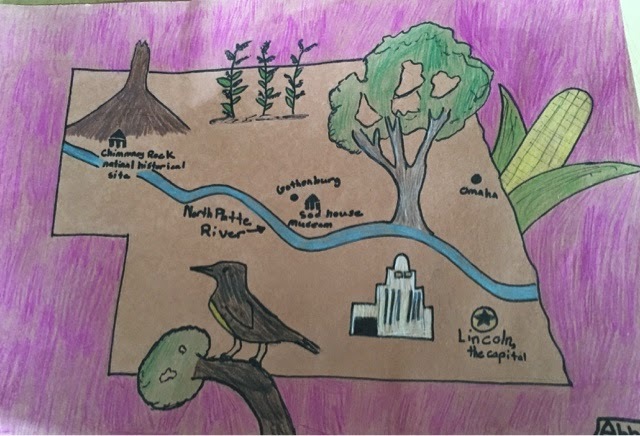 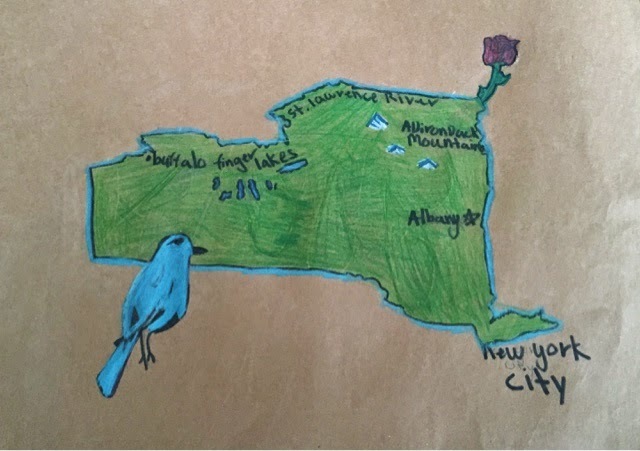 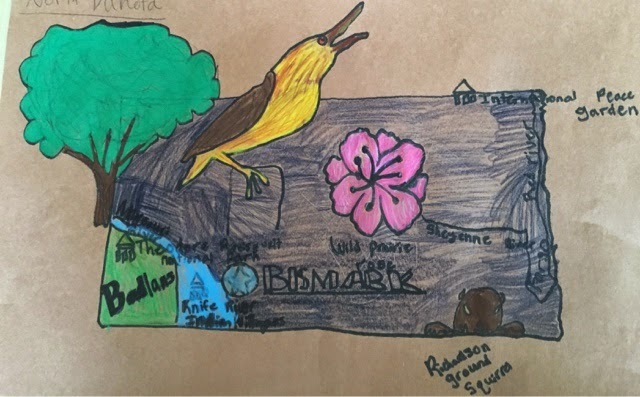 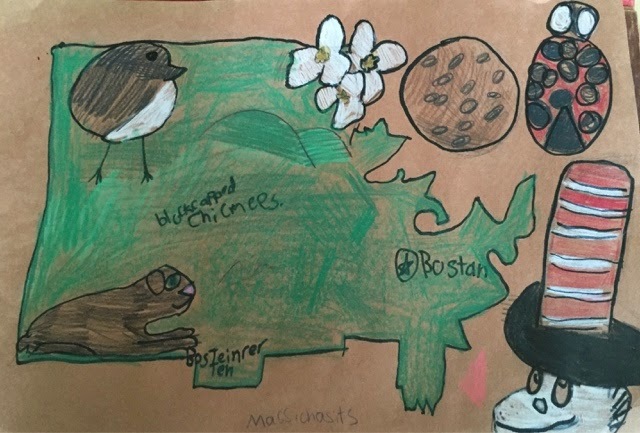 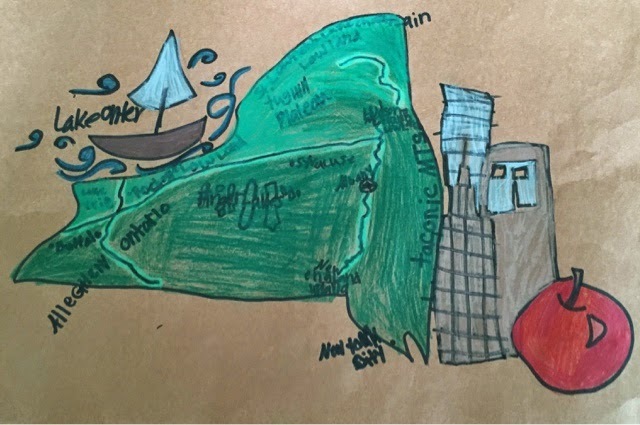 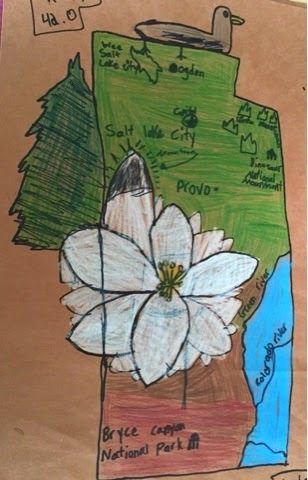 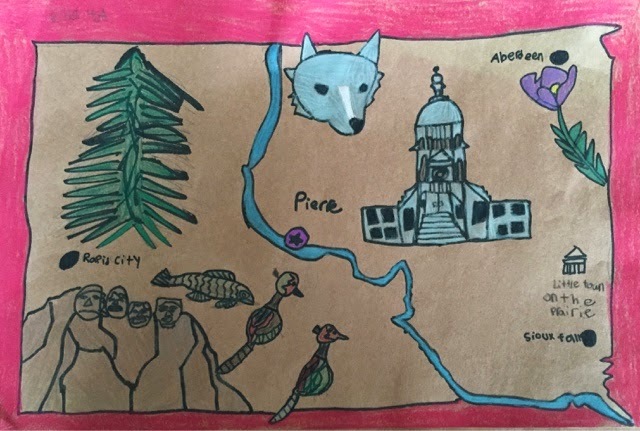 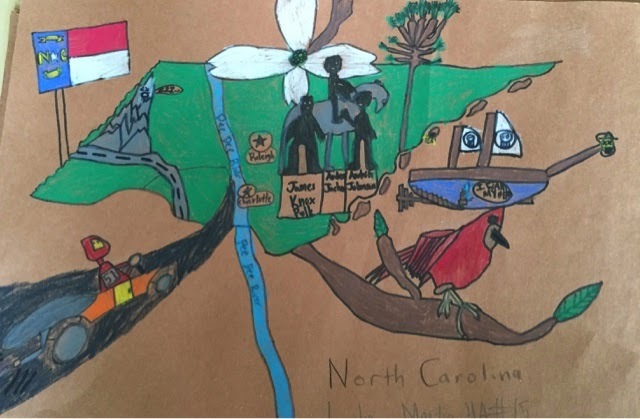 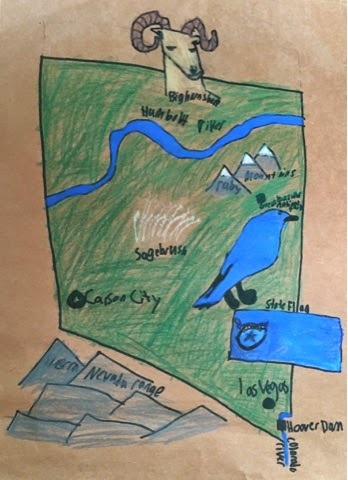 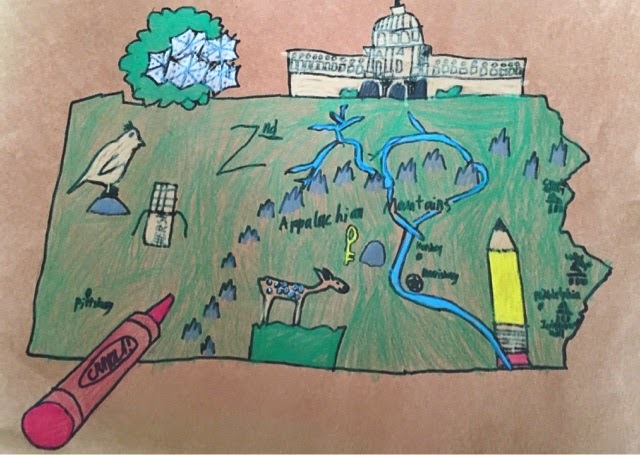 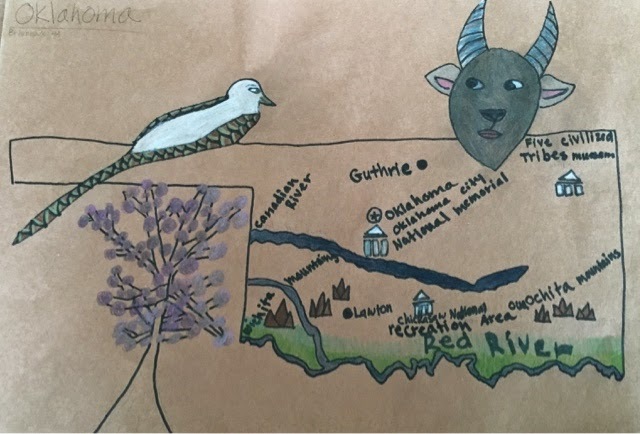 In the art room they are creating their state maps with illustrations of important connections to that state. 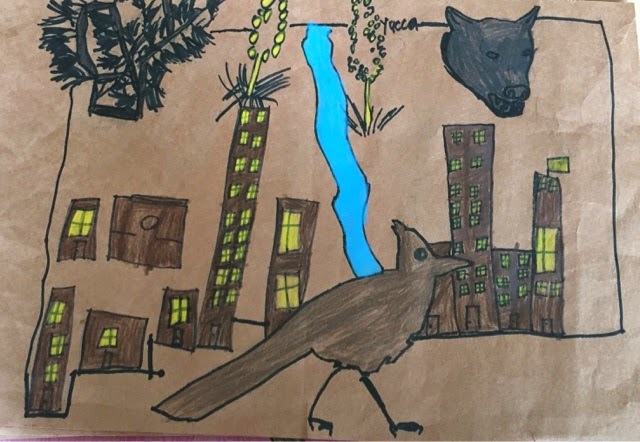 We talked about composition and it was fun to see the students bring their research to art class and really use their imaginations with this project.